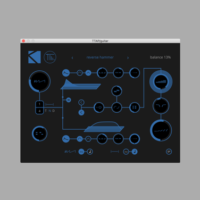 Make your keys lines, riffs, and textures from any sound you want: Kfluxsy turns any source in different incredible sound matters, following your mood. Kfluxsy is very easy to use: it has a friendly user interface and detailed descriptions for each function or parameter. 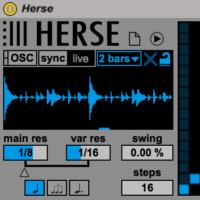 You just drop in your audio sample and play MIDI notes. 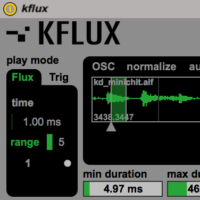 Just like its big brother Kflux, Kfluxsy can explore your samples in two ways: free, using the horizontal slider under the waveform, or sync, to read the selected area in beats, following the Live’s transport. 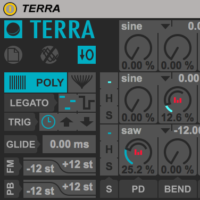 You can even inject organic life in the sample exploration using the random position parameter: this adds random milliseconds to the value of the position slider. 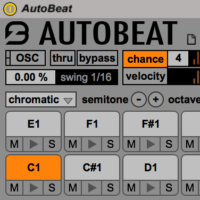 Just try with acoustic sounds, increasing just a bit random value to get quasi electric piano results. Lovely! 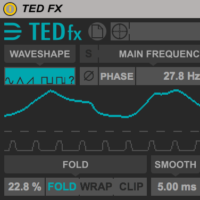 The multimode filter works grains by grains: considered a given range of frequencies, grains are generated with exclusive values; this gives you stunning living textures. 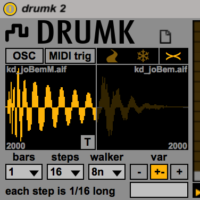 All classic envelope functions are here: from gaussian to blackman, from expodec to recpodec; and for more warming power, you can inject some noise in! 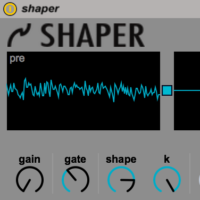 The silence parameter is handy: use it to introduce unpredictable variations in stream’s density, or even to produce strange breaks using drum samples in sync mode! 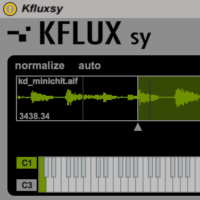 Kfluxsy is developed using exclusively standard Max objects, to guarantee compatibility with latest Live and Max For Live versions. It comes unlocked!